Melton might be one of many small villages in Suffolk but when it comes to places of interest in or nearby the village, it can rival the county’s largest cities. St Andrew’s Old Church. The beautiful St Andrew’s Old Church dates from the mid-12th century, the time when the village was of major administrative significance to the Liberty of Ely. In the centre of the village, less than one mile from the Old Church is the new St Andrew’s. The latter was built after the village centre moved away from the river to the current location in the 19th century. The Old Church now serves as a venue for various local events and social gatherings. Sutton Hoo. This early medieval Anglo-Saxon burial site is one of the most important archaeological finds from this period in the entire England. Located less than two miles from the centre of the village, Sutton Hoo actually consists of two burial sites. The first one, which is believed to date from the beginning of the 7th century, was discovered in 1939. Besides virtually intact ship burial, archaeologists also found wealth of other priceless artefacts which are now mostly housed in the British Museum. The second burial site which is less than half a mile from the first hasn’t been fully explored yet. Suffolk Coast & Heaths Area of Outstanding Beauty. If you plan to visit Melton, don’t miss the opportunity to visit the nearby Suffolk Coast & Heaths Area of Outstanding Beauty. Best known for breath-taking landscape and intact nature, the area also impresses its visitors with a wealth of manmade features. It covers over 150 square miles and includes the estuaries of several rivers, ancient heaths, salt marsh, shingle beaches, etc. as well as historic sites and settlements. Tide Mill Living Museum. Another must-see just a short drive from Melton is the last tide mill still in operation in the UK. The mill which is located in the neighbouring Woodbridge dates at least to 1170 which makes it one of the oldest tide mills in Britain. Despite its reputation as the country’s oldest operating tide mill, however, it ceased to be commercially viable a long time ago. Ufford Park Hotel, Golf and Spa. 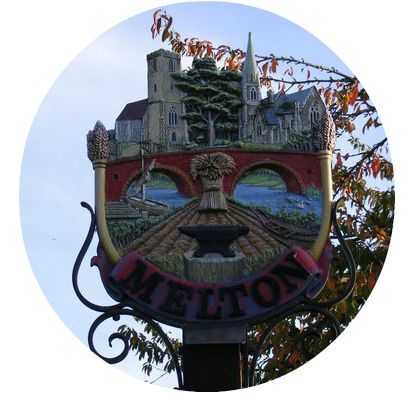 Located less than 2 miles from the centre of Melton, this place is perfect if you feel like golfing, relaxing or fine dining. There you can find a fantastic 18-hole championship golf course, thermal suite spa, indoor swimming pool, health club with a gym, fine accommodation and world-class restaurant and bars, all open to both guests and visitors alike.